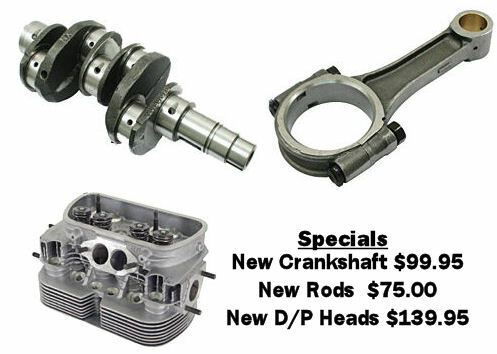 Special deal on Crankshafts (New 1600), Connecting Rods (New Stock) and New Dual Port Cylinder Heads. Cranks are Brand New 69mm, Standard Rods and Standard Mains. Rods are sold in a set of 4 and are Brand New. Heads Brand New complete Dual Port Heads. Get these items before they are gone. Click more info to choose what you need.